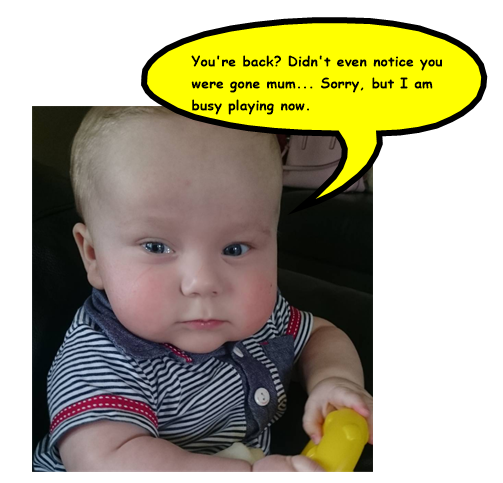 I am sure you are all aware of what it stands for: keeping in touch day or basically, mummy goes back to work for some days while she is on maternity leave. My boss texted me last week to ask if I was able to attend the next training day at school. The focus was on the new GCSE that I will teach when I am back to work. When I saw the message, I didn’t even consult Grumpy Boyfriend. Straight away, I answered saying that I was in. Pas de problème. I was so excited about it all: seeing my friends and colleagues, catching up on any gossip missed since I left school last December. Discussing ideas and strategies to put into place in our scheme of work … I was like a little girl who was offered to go to DisneyLand. Now, ladies, there are some rules or precautions to take when you go to a KIT day. Preparation is key so that it is a successful moment. You are now used to a different lifestyle. Still in your pyjamas at 10 in the morning, no makeup in the daytime are some examples of your new life. So I prepared as much as I could for my KIT day. First, I chose my outfit very carefully. Dans ce cas, a summery dress that showed my tanned and toned arms. Yes, now that I am at home all day, I have more time to exercise and I am in a better shape that I have been before falling pregnant. I also chose carefully the colours, pink, so that my tanning (endless walks with Baba) was evident. 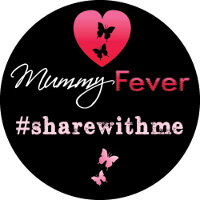 Basically, you need to sell it to your colleagues: the life of a mummy at home is parfaite and all you do is having fun. Wash carefully your hair, straighten it if necessary. Put some nail varnish on. You need to pretend that you have the time to do all these things every day. Shave your legs and prepare a healthy lunch that shows that you are in control with your body. In two words, you need to look like the following: YOU ROCK! No dribbles, no vomit, no bag under your eyes (get a good concealer!). You are selling the life of a SAHM. It might not be such a fairy tale as you were hoping when you became pregnant but just pretend. The second phase of preparation involves more le bébé. First time ever that Grumpy Boyfriend was going to be in charge of Baba, so I made his life as easy as possible. The following was organised: milk in the fridge, snacks were made obvious in the kitchen and pointed out to the man of the house just in case… I got out an extra outfit in case of an accident. I got the toys all in a box on the sofa in case Grumpy Boyfriend needed to entertain the little one. My laptop was charged up if he wanted to put Baba in front of cartoons and he could get on with his work. Get up before dawn so that you can do some blogging before going to work. It will remind you how lucky you are not to work and be able to write about all sorts of things that people love reading about. In other words, you will believe that you are a creative and intelligent adult. You are all set up. You have your pens and notebooks like you are a trainee again. Baba is dressed in an easy outfit to take off and put back on for the boyfriend. You had your dose of coffee and you are ready to go. A million of kisses for le petit and last recommendations to Monsieur before you leave and off we go. 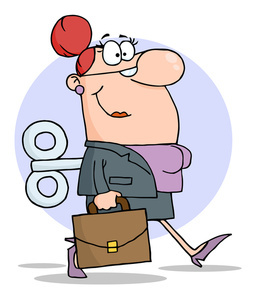 A smile on, you make sure you come and say hello to everyone at work, even the ones you don’t like. Especially the ones you don’t like just to put in their face how happy you are and make them feel super jealous ?. When your colleagues ask about how you cope with it all, just be very nonchalante. You don’t want to show off too much as you know that they are already deadly jealous. 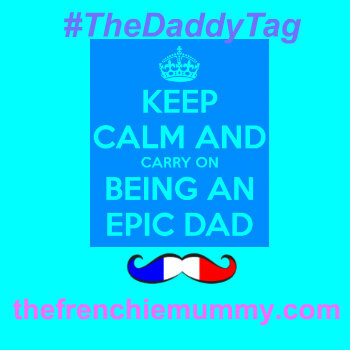 Share with them some pictures of your bébé because he is gorgeous and you want to show him/ her off. But not too many, they might get bored. Make a quick allusion about your blog. You are even allowed to mention the magic words ‘freelance writer’. It looks cool and trendy. Yes, you are not only a maman; you are also a savvy business woman who deals successfully with a lot of things, like writing and social media. Your boss might hear you out and get scared that you don’t want to come back to work later on and offer you a promotion the same evening. Pourquoi pas? Just lie to him and say that your blog attracts more than 3000 visitors a month. He will be amazed for sure. Enjoy the compliments about your baby. Yes, your son/daughter is gorgeous and you are the happiest woman on earth. Don’t mention the cries, the sleepless nights, the mess in your house because you became quickly bored of cleaning. 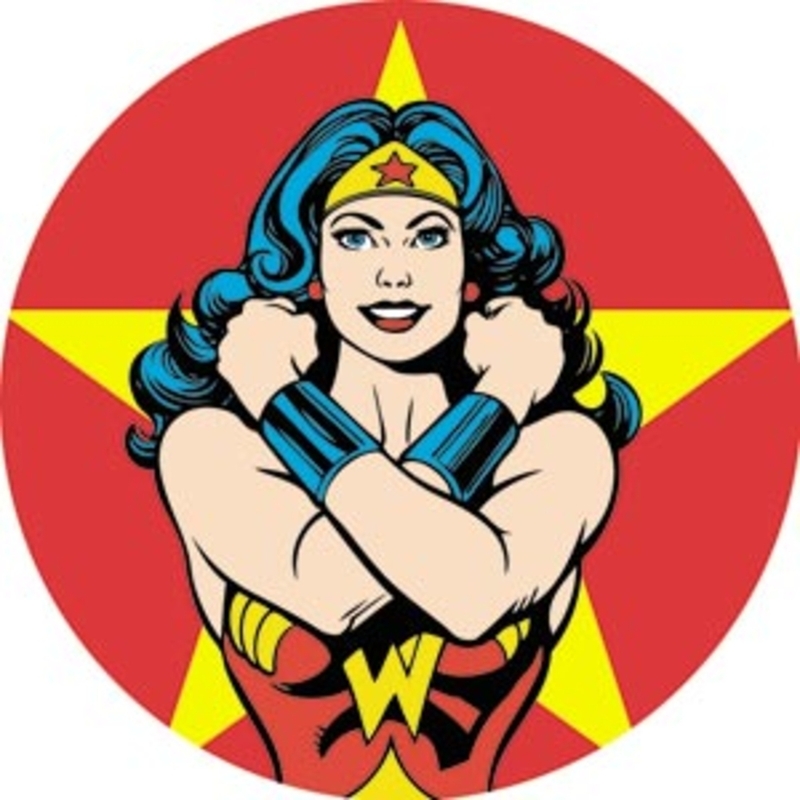 To your colleagues’ eyes, you are a wonder woman. Listen carefully to what is said in the meetings you attend. But allow yourself to daydream and think how lucky you are not to have to put up with that all day. Take some notes to pretend you have some interest and bring some ideas on so that you show you still have it and the company can’t surely replace you! During the day, you are permitted to call whoever is looking after your trésor, once, twice, even 5 times if you want. You just want to make sure Baba is still alive (I mean he was with Grumpy Boyfriend so it was a necessity to check for me!). Plus people at work will think that you are the most caring and loving mum. L’ingrat! He didn’t even seem sad I was gone all day ? The day is over. Everything was fine. Pour yourself some wine while your other half cooks you dinner. That’s the least he can do when you had a long day. Plus you had to clean up the mess in Baba’s room: poo on the mat, over the walls and other wonders I will spare you. Grumpy Boyfriend still needs some practice with moutarde situations and how to deal with them without making a mess. You super girl, you made it! You survived! And you are so happy to be home, your bras and your shoes off (yes, you are already back in your leggings because they are so comfy!). In case you forgot! Nominations for the Mumsnet Blogging Awards 2016 are on until 31st July. If you liked this post, I would love you to nominate me for the Best Writer category. It’s very simple; just click on the link above. Merci from a Frenchie blogger. One of the days I am not looking forward to and I am not even on maternity leave yet. Sounds like you aced it. I didn’t have a KIT day and on my first day I leaked breast milk all over my black top and spent the day hiding my chest behind a textbook hoping my 5th graders wouldn’t notice. Poise and grace were never my friends. Oh this takes me back ! I remember it well, trying to get out the door looking like a yummy mummy for the school run. Looking like everything was so perfect . I always dreaded the thought of anyone suggested a mummy coffee morning Because of the stateam of the house ! It was either me or the house that was tidy, I could never manage both ! Well I am not that elegant but thank you for the compliment ? well done super lady for making it through your KIT day. I am sorry you are sad but I am sure that little man did miss you but maybe he was putting on a brave face or enjoying the novelty of Papa. I am sure in his head he probably gave you an extra big hug!! 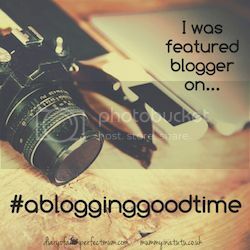 Thanks for linking to #ablogginggoodtime ! !